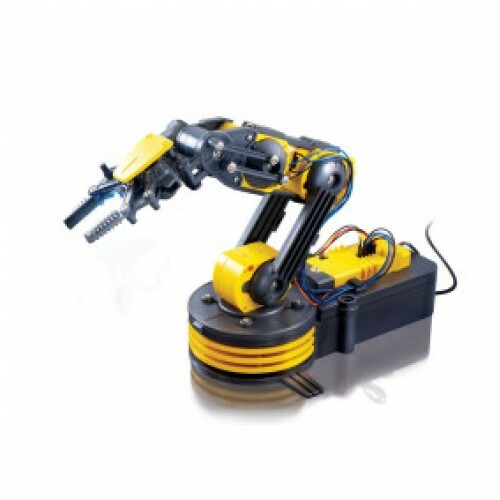 The Robotic Arm Kit is a great learning tool for electronics enthusiasts wishing to program with the Raspberry Pi. Kit comes unassembled and you will need some basic tools to put the arm together. Assembly estimated at 1-2 hours - Instructions are of course included. Once assembled, you can connect it to your Raspberry Pi and program it to perform all sorts of robotic movements using the Python programming language.